Who likes cats? Who likes poker? Now you can have both with these unique, fun and stylish standard poker-sized playing cards! Available with red or blue backs (this product has red backs), these standard playing card decks will make your poker or card games more fun. Each deck includes the regular 52 cards, and 2 jokers. NOW includes tuck box like you see most decks in! This used to cost $2 extra. The se high-quality cards are shipped with a standard "tuck" box. 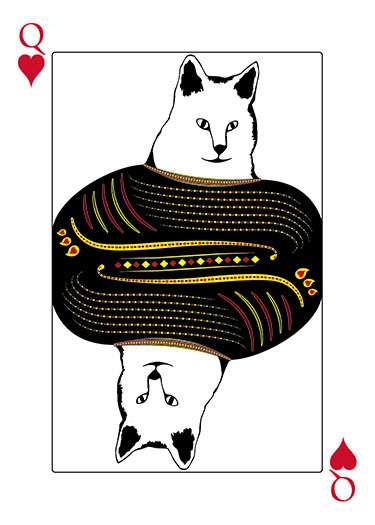 Order extra sets for all of your cat-loving card player friends. They make a great gift for holidays or birthdays. This title was added to our catalog on October 08, 2015.